Main "D" zip opening compartment, interior has zip pocket and address label inside. 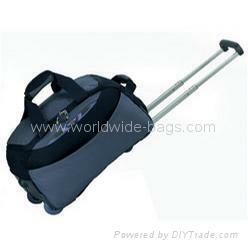 Three stage trolley system with zip away pocket. Usually accepted as cabin size.